If you’ve returned to your car, only it’s not there, you likely have that empty and sick feeling inside of you that your car is missing and you’re not sure what to do. 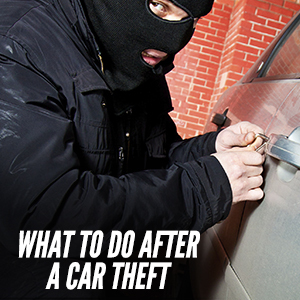 There are several important steps that you should take after your car is stolen. First, call the police immediately and report your car as missing. Be sure to give the make, model and if you have it, the license plate number as well. Let the police know exactly where it was parked and at what time of day. 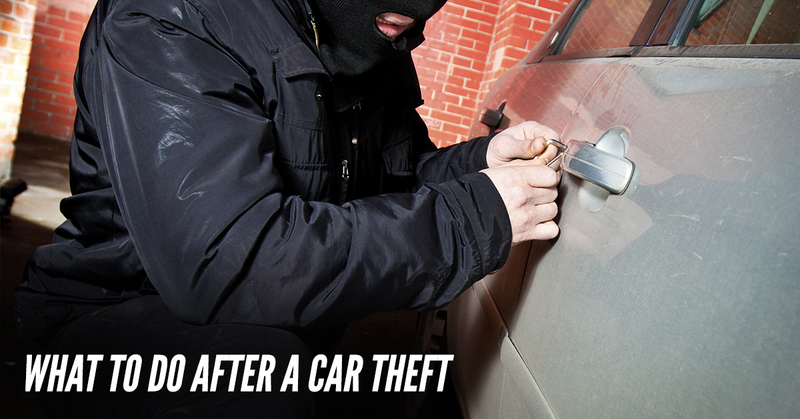 If you have any security devices on your car be sure that you mention that in the police report as well. If you have a comprehensive insurance policy, your car will usually be replaced, however, it will have a waiting period of anywhere from 7 days up to 2 weeks to allow for the car to be found and returned to you. Never take the first offer from the insurance claim adjuster. Their job is to save the company money so they are going to start out at the lower end of replacement value for your car. They will slowly gravitate up to an agreeable offer if you work through it. Throw out an offer that you’re willing to accept and expect them to counteroffer you with a lower amount. This will bounce back and forth a few times so always throw out an offer that is higher than you’re willing to accept and allow them to work up to what you are willing to accept. Remember, once you’ve accepted the offer, you can’t go back and change it so don’t settle for anything less than you’re willing to take. Keep copies of everything that is in the police report and every statement that you make to the insurance company and to the police. You may need this later if your case should go to court. Also, should you happen to lose your job during these proceedings, you’ll have to show why you shouldn’t be required to pay your car loan or why you’re late paying your car loan. Keep all documents from the police and the insurance company together in one spot so that you can grab them if you need them at any time. Always review your insurance claim with an attorney before you accept anything, this can make sure that everything is fair.